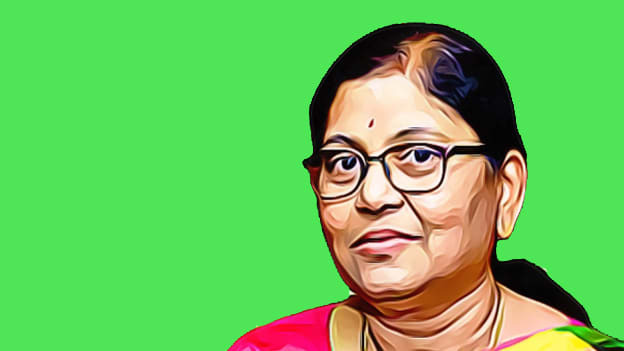 P V Bharathi is the first woman to serve the bank in this capacity. P V Bharathi, executive director of Canara Bank, has now taken charge as managing director and Chief Executive Officer (CEO) of the city-based Corporation Bank, a statement said. She is the first woman to serve the bank in this capacity. Bharathi has been executive director of Canara Bank since September 15, 2016 and served as the firm's general manager in the risk management wing. A graduate in Science and a Bachelor of Education, Bharathi completed her Masters in Arts (Economics). She is a certified associate of Indian Institute of Bankers and has done an integrated course on banking & finance from NIBM, Pune. She comes with more than 37 years of experience in the banking industry. In her banking career, she has served in different branches in the national capital region (NCR) and also in Tamil Nadu. She joined as an officer in Canara Bank in 1982 and handled key responsibilities in branches, regional offices, circle offices and the head office. She has experience in rural, semi-urban, urban and metro branches of the bank as also in administrative offices of the bank. In addition, she has been a non-executive director of Can Fin Homes Limited since September 22, 2014 and also served as a director board member of Canbank Venture Capital Limited. With her at the helm, the bank can look forward to a seasoned banker taking charge.